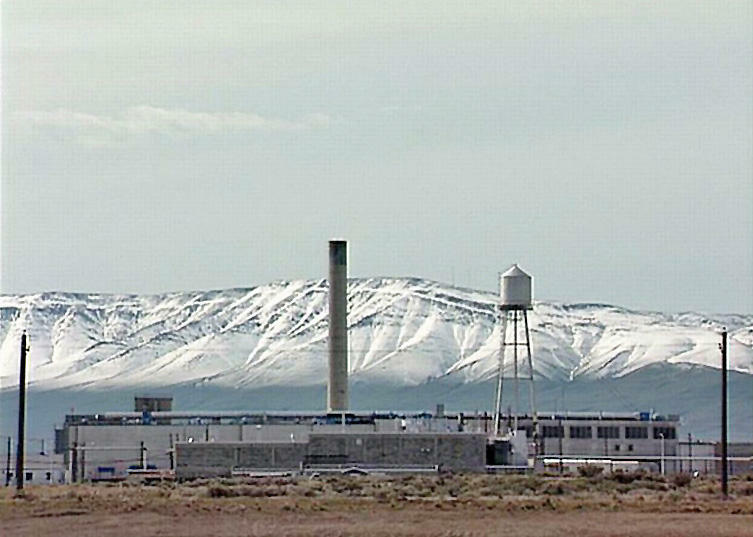 The federal Department of Energy is seeking to reclassify radioactive waste at Hanford. In fall 2018, the Department of Energy released a proposal to downgrade the rating of some of the country’s high-level radioactive waste, to a lower status. But critics say it could be bad news for places like Hanford. And the Hanford site in Washington is already “one of the most contaminated nuclear waste sites in North America.” Cleaning up the radioactive waste stored there is an ongoing process, and a federal report due out later this month estimates it will cost more than $240 billion to clean up the site. Oregon Senator Ron Wyden, as well as Washington Gov. Jay Inslee and Senators Patty Murray and Maria Cantwell have all expressed major concerns with the federal plan. How much of the nuclear waste at Hanford could be subject to this reclassification? Congress is asking the U.S. Department of Energy things like: “What are you talking about? How much will this new plan save? And how much radioactive and chemical waste will be left at Hanford?” But so far, there have been few answers from Energy. The main difference between high-level and low-level radioactive waste is currently defined by the Nuclear Waste Policy Act. High-level waste is so hazardous that federal law requires it to be stored in a deep geologic repository, alla Yucca Mountain in Nevada. That’s because it contains highly radioactive material. File photo of part of the Hanford Nuclear Site. But that Yucca project has been on hold since the beginning of the Obama administration. Low-level waste could be buried at Hanford in shallow or near-surface disposal facilities under both DOE and NRC regulations. There’s that 56 million gallons of tank waste held in aging underground steel and concrete containers not far from the Columbia River. Since 2002, the latest plan has been to build a massive plant to treat that waste. The idea is to bind it up in glass logs for long-term storage in a Yucca-type repository. Sources say that if this was no longer the plan, and the waste was reclassified — that tank waste could be instead made into large blocks of grout and stored at Hanford, or hauled to another state or location and stored in a near-surface waste dump. What could waste reclassification mean for the Hanford cleanup? The outfall of this decision will be big if the Department of Energy does reclassify the waste. It could dramatically speed up the rate of cleanup on the tank farms where all this sludge is stored. There may be way less high-level waste that needs to be bound up in glass in that massive, $16.8 billion factory that Energy is building now. Energy might be able to leave a lot more of the tank waste in the tanks and just grout it in place. Energy might not need as large or robust a repository for all this waste. Again, by changing the playing rules, and skirting other previous laws, the Department of Energy would have the power to bury grouted-up tank waste at Hanford. What are the downsides of leaving some of that tank waste in the ground? The problem is that this plan might not save that much money. The waste treatment plant is under construction, and several parts of it are nearly turnkey. Sources say the cost of transportation to haul this grouted waste to another site would likely be too much. Meaning, the solution would likely be to keep the waste at Hanford. But many people don’t like that because it’s near the Columbia River, near fault lines for earthquakes, near volcanos — and this waste will be hazardous for thousands of years. And grout isn’t as robust as glass. So it could be an issue, because these chemicals and radioactive wastes could last in the environment for thousands of years. If some of the Hanford waste was to be re-categorized, could that potentially speed up the cleanup? What long-term consequences could the decision have? In a word: yes, cleanup could be sped up. By reclassifying this waste, the Department of Energy would have many more options for how to treat this radioactive sludge and how to dispose of it. But some sources put it like this: Do you clean up the waste more quickly and cheaply now? Or do you clean it up with the best technology you have and spend more money now, so it won’t be a problem for future generations to unearth? Experts have said grout works well for maybe dozens even hundreds of years — but then, it has problems. It releases this waste into the environment at a faster rate. Binding this waste up in glass is the strongest way experts currently know how to keep this waste isolated from the environment. Scientists are actually studying glass made 1,500 years ago by ancient Swedes, to try and make even stronger glass to bind up this radioactive waste. The question is: Can this stuff be safe for thousands of years? And when will the peak chemical and radionuclide load be released to the groundwater and the environment? What are some main concerns? The main concerns are Technetium 99 and Iodine 129. Grout won’t capture those constituents well — and there’s a lot of it. They can be harmful for thousands of years. There’s also this question: is radioactive and chemical waste that’s been spilled into the ground under those tanks — maybe a million gallons worth — considered high-level waste, or will it be classified low-level waste too? The other problem is this: If DOE makes its own order, that means that it only has to consider what these chemical and radioactive wastes would do to the environment and people for 1,000 years. But that might be well before the peak of contamination even happens. Under current Washington state law, Energy has to look at the contaminants as long as it poses a risk with human health and the environment. Where does this issue stand today? If the Department of Energy goes ahead with their redefinition — the oversight from the Nuclear Regulatory Commission would be out of the picture. So it would be like Energy setting the rules, doing the work and watching over themselves to make sure the job was done right. But it’s very unclear how this process will even proceed. January 9, 2019 was the deadline for public comments. Energy did previously give a 30-day extension for public comments — from December to January. But DOE hasn’t said how they are going to go forward — they haven’t set a timeline for when they will get back to the public, nor told Congress what their approach is. They might make a decision with a DOE order, in which the agency needs no other public comment.